Dante Stella is a senior litigator trusted by clients and colleagues to plan and execute responses to complicated or high-risk matters that either involve data of an extensive or sensitive nature (like class actions, major commercial litigation, and responses to government investigations) or are about data, such as coordinating responses to security incidents and data breaches, evaluating and negotiating supply chain relationships that involve the handling of confidential or sensitive data, or helping enterprises improve their information lifecycle management and readiness for major legal events. Mr. Stella leads Dykema's Discovery Management and E-Discovery Group, a cross-disciplinary and solution-oriented team of attorneys, legal specialists, and legal technologists. 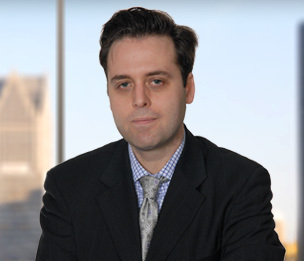 Mr. Stella is also a member of Dykema's Pro Bono Committee, representing the Detroit office. Mr. Stella is a member of Dykema’s Data Privacy and Security Group and is co-editor of the firm’s Firewall data privacy and security blog. Leveraging his long experience with litigating contractual disputes, Mr. Stella assists numerous clients with the negotiation of contracts (both upstream and downstream) where the mishandling of personal information, protected health information, or commercially-sensitive information could generate significant first- or third-party liability. He also applies his experience in crisis and vendor management to assist clients in assessing and remediating data security incidents, both to solve immediate problems and minimize long-term litigation and other risk. Finally, Mr. Stella applies data privacy principles to the design of E-Discovery projects so that cases of a completely commercial nature do not unexpectedly spawn liability from violations of data privacy laws. Training client personnel on “peacetime” activities such as information lifecycle management, deployment of in-house E-Discovery systems, and structuring discovery activities. Mr. Stella is also available as a mediator or special master for E-Discovery disputes. His extensive knowledge of E-Discovery processes and attendant cost issues makes him well-suited to fashion reasoned, realistic solutions to the sharp disagreements that can arise in this field. Prior to joining Dykema, Mr. Stella interned for the Honorable Avern Cohn, United States District Judge for the Eastern District of Michigan. "A Storm Cloud on the Cross-Border Discovery Horizon"
"Prevent Litigation From Becoming A Threat To Data Security"
" Nine Tips For Controlling Discovery Expenses And Risks"
"Backups: What You Don't Need Can Hurt You"
Quoted in "A Multidimensional Solution to the Problems of Runaway Discovery"